Anyone who has studied even basic geography has heard of longitude and latitude before but aside from knowing which direction they go, few are aware of their implications. In this comparison article, we take a look at their most telling characteristics in a bid to clear up the mystery behind them. 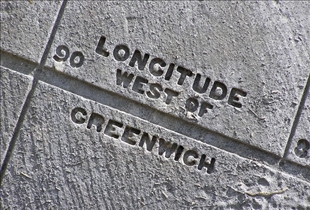 Longitude is defined as the distance of the meridian of a point from the Prime Meridian, which is also referred to as Greenwich. Longitude is typically expressed in terms of degrees, minutes, and seconds, and it is the most often used geographic ,in cartography as well as in global navigation for purposes of determining east-west measurement. Longitude is shown by lines that run from north to south. The longitudinal line or meridian that passes through the Royal Observatory in Greenwich, England, is the established point of zero degrees of longitude. This is also called the Prime Meridian. As for latitude, it is defined as an area in reference to its location north or south of the equator. This is technically an angular measurement designated in degrees, with 0° being the equator and 90° being the poles. The North Pole is 90° N and the South Pole is 90° S. The latitude can also be seen as the angle between the zenith and the sun at noon in the equinox. Latitudinal lines are always parallel to the equator, with the radii of each circle becoming smaller and smaller the further away from the equator you go. The Longitudinal lines on the other hand are always parallel to the Prime Meridian, with the radii of the circle remaining the same around the globe. Latitudes are designated the “phi” (Φ) symbol, while Longitudes are given the “lambda” (λ) symbol. The Longitude is typically used to determine the distance of a place from the Prime Meridian. It is also used to determine the time zone of a specific location. Time calculations are generally calculated according to Greenwich Mean Time our GMT. This signifies the time at the Prime meridian, which would be used in order determine the distance of a certain location. 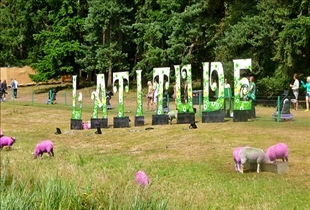 As for latitude, it can be used to determine the climate and the weather conditions in a particular region, as well as its distance from the Equator and the Poles. As you can imagine, the latitude of a place has a direct bearing on its weather and atmospheric phenomenon. Which grid line do you consider more often?